Tampa's Top Full-Service Attorneys - The Law Office of Patrick J. Cremeens, P.L. 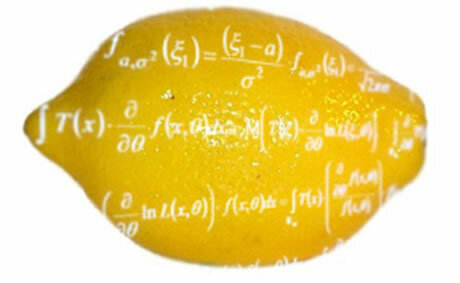 Florida Lemon Laws and the federal Lemon Law (the Magnuson-Moss Warranty Act) provide for compensation to Florida consumers of defective automobiles and trucks and other vehicles and products including motorcycles, RV’s, boats, computers and other consumer appliances and products. To qualify under the Florida Lemon Law or the federal Lemon Law, you must generally have a product that suffered multiple repair attempts under the manufacturer’s factory warranty. Lemon Law compensation can include a refund, replacement or cash compensation. If you think you qualify for a Lemon Law, click here for a Florida Lemon Law free Document Review & Case Evaluation, simply call 813-839-2000. An experienced Lemon Law attorney will personally review your inquiry and records and quickly contact you for a Free Document Review & Case Evaluation. For other useful Florida Lemon Law information,visit the Florida State Lemon Laws Statutes and Guide pages. Or just keep reading below for the entire Florida Lemon Law, to read the federal lemon law. Florida Lemon Law 681.10 Short title. Florida Lemon Law 681.101 Legislative intent. Florida Lemon Law 681.102 Definitions. (1) “Authorized service agent” means any person, including a franchised motor vehicle dealer, who is authorized by the manufacturer to service motor vehicles. In the case of a recreational vehicle when there are two or more manufacturers, an authorized service agent for any individual manufacturer is any person, including a franchised motor vehicle dealer, who is authorized to service the items warranted by that manufacturer. The term does not include a rental car company authorized to repair rental vehicles. (2) “Board” means the Florida New Motor Vehicle Arbitration Board. (3) “Collateral charges” means those additional charges to a consumer wholly incurred as a result of the acquisition of the motor vehicle. For the purposes of this chapter, collateral charges include, but are not limited to, manufacturer-installed or agent-installed items or service charges, earned finance charges, sales taxes, and title charges. (4) “Consumer” means the purchaser, other than for purposes of resale, or the lessee, of a motor vehicle primarily used for personal, family, or household purposes; any person to whom such motor vehicle is transferred for the same purposes during the duration of the Lemon Law rights period; and any other person entitled by the terms of the warranty to enforce the obligations of the warranty. (6) “Department” means the Department of Legal Affairs. (7) “Division” means the Division of Consumer Services of the Department of Agriculture and Consumer Services. (8) “Incidental charges” means those reasonable costs to the consumer which are directly caused by the nonconformity of the motor vehicle. (a) Lessor’s earned rent charges through the date of repurchase. (b) Collateral charges, if applicable. (c) Any fee paid to another to obtain the lease. (d) Any insurance or other costs expended by the lessor for the benefit of the lessee. (e) An amount equal to state and local sales taxes, not otherwise included as collateral charges, paid by the lessor when the vehicle was initially purchased. (10) “Lemon Law rights period” means the period ending 24 months after the date of the original delivery of a motor vehicle to a consumer. (11) “Lessee” means any consumer who leases a motor vehicle for 1 year or more pursuant to a written lease agreement which provides that the lessee is responsible for repairs to such motor vehicle or any consumer who leases a motor vehicle pursuant to a lease-purchase agreement. (12) “Lessee cost” means the aggregate deposit and rental payments previously paid to the lessor for the leased vehicle but excludes debt from any other transaction. (13) “Lessor” means a person who holds title to a motor vehicle that is leased to a lessee under a written lease agreement or who holds the lessor’s rights under such agreement. (14) “Manufacturer” means any person, whether a resident or nonresident of this state, who manufactures or assembles motor vehicles, or who manufactures or assembles chassis for recreational vehicles, or who manufactures or installs on previously assembled truck or recreational vehicle chassis special bodies or equipment which, when installed, forms an integral part of the motor vehicle, a distributor as defined in s. 320.60(5), or an importer as defined in s. 320.60(7). A dealer as defined in s. 320.60(11)(a) shall not be deemed to be a manufacturer, distributor, or importer as provided in this section. (15) “Motor vehicle” means a new vehicle, propelled by power other than muscular power, which is sold in this state to transport persons or property, and includes a recreational vehicle or a vehicle used as a demonstrator or leased vehicle if a manufacturer’s warranty was issued as a condition of sale, or the lessee is responsible for repairs, but does not include vehicles run only upon tracks, off-road vehicles, trucks over 10,000 pounds gross vehicle weight, motorcycles, mopeds, or the living facilities of recreational vehicles. “Living facilities of recreational vehicles” are those portions designed, used, or maintained primarily as living quarters and include, but are not limited to, the flooring, plumbing system and fixtures, roof air conditioner, furnace, generator, electrical systems other than automotive circuits, the side entrance door, exterior compartments, and windows other than the windshield and driver and front passenger windows. (16) “Nonconformity” means a defect or condition that substantially impairs the use, value, or safety of a motor vehicle, but does not include a defect or condition that results from an accident, abuse, neglect, modification, or alteration of the motor vehicle by persons other than the manufacturer or its authorized service agent. (17) “Procedure” means an informal dispute-settlement procedure established by a manufacturer to mediate and arbitrate motor vehicle warranty disputes. (18) “Program” means the mediation and arbitration pilot program for recreational vehicles established in this chapter. (19) “Purchase price” means the cash price as defined in s. 520.31(1), inclusive of any allowance for a trade-in vehicle, but excludes debt from any other transaction. “Any allowance for a trade-in vehicle” means the net trade-in allowance as reflected in the purchase contract or lease agreement if acceptable to the consumer and manufacturer. If such amount is not acceptable to the consumer and manufacturer, then the trade-in allowance shall be an amount equal to 100 percent of the retail price of the trade-in vehicle as reflected in the NADA Official Used Car Guide (Southeastern Edition) or NADA Recreation Vehicle Appraisal Guide, whichever is applicable, in effect at the time of the trade-in. The manufacturer shall be responsible for providing the applicable NADA book. (20) “Reasonable offset for use” means the number of miles attributable to a consumer up to the date of a settlement agreement or arbitration hearing, whichever occurs first, multiplied by the purchase price of the vehicle and divided by 120,000, except in the case of a recreational vehicle, in which event it shall be divided by 60,000. (21) “Recreational vehicle” means a motor vehicle primarily designed to provide temporary living quarters for recreational, camping, or travel use, but does not include a van conversion. (22) “Replacement motor vehicle” means a motor vehicle which is identical or reasonably equivalent to the motor vehicle to be replaced, as the motor vehicle to be replaced existed at the time of acquisition. “Reasonably equivalent to the motor vehicle to be replaced” means the manufacturer’s suggested retail price of the replacement vehicle shall not exceed 105 percent of the manufacturer’s suggested retail price of the motor vehicle to be replaced. In the case of a recreational vehicle, “reasonably equivalent to the motor vehicle to be replaced” means the retail price of the replacement vehicle shall not exceed 105 percent of the purchase price of the recreational vehicle to be replaced. (23) “Warranty” means any written warranty issued by the manufacturer, or any affirmation of fact or promise made by the manufacturer, excluding statements made by the dealer, in connection with the sale of a motor vehicle to a consumer which relates to the nature of the material or workmanship and affirms or promises that such material or workmanship is free of defects or will meet a specified level of performance. Florida Lemon Law 681.103 Duty of manufacturer to conform a motor vehicle to the warranty. (1) If a motor vehicle does not conform to the warranty and the consumer first reports the problem to the manufacturer or its authorized service agent during the Lemon Law rights period, the manufacturer or its authorized service agent shall make such repairs as are necessary to conform the vehicle to the warranty, irrespective of whether such repairs are made after the expiration of the Lemon Law rights period. Such repairs shall be at no cost to the consumer if made during the term of the manufacturer’s written express warranty. Nothing in this paragraph shall be construed to grant an extension of the Lemon Law rights period or to expand the time within which a consumer must file a claim under this chapter. (2) Each manufacturer shall provide to its consumers conspicuous notice of the address and phone number for its zone, district, or regional office for this state in the written warranty or owner’s manual. By January 1 of each year, each manufacturer shall forward to the Department of Legal Affairs a copy of the owner’s manual and any written warranty for each make and model of motor vehicle that it sells in this state. (3) At the time of acquisition, the manufacturer shall inform the consumer clearly and conspicuously in writing how and where to file a claim with a certified procedure if such procedure has been established by the manufacturer pursuant to s. 681.108. The manufacturer shall provide to the dealer and, at the time of acquisition, the dealer shall provide to the consumer a written statement that explains the consumer’s rights under this chapter. The written statement shall be prepared by the Department of Legal Affairs and shall contain a toll-free number for the division that the consumer can contact to obtain information regarding the consumer’s rights and obligations under this chapter or to commence arbitration. If the manufacturer obtains a signed receipt for timely delivery of sufficient quantities of this written statement to meet the dealer’s vehicle sales requirements, it shall constitute prima facie evidence of compliance with this subsection by the manufacturer. The consumer’s signed acknowledgment of receipt of materials required under this subsection shall constitute prima facie evidence of compliance by the manufacturer and dealer. The form of the acknowledgments shall be approved by the Department of Legal Affairs, and the dealer shall maintain the consumer’s signed acknowledgment for 3 years. (4) A manufacturer, through its authorized service agent, shall provide to the consumer, each time the consumer’s motor vehicle is returned after being examined or repaired under the warranty, a fully itemized, legible statement or repair order indicating any test drive performed and the approximate length of the test drive, any diagnosis made, and all work performed on the motor vehicle including, but not limited to, a general description of the problem reported by the consumer or an identification of the defect or condition, parts and labor, the date and the odometer reading when the motor vehicle was submitted for examination or repair, and the date when the repair or examination was completed. Florida Lemon Law 681.104 Nonconformity of motor vehicles. (a) After three attempts have been made to repair the same nonconformity, the consumer shall give written notification, by registered or express mail to the manufacturer, of the need to repair the nonconformity to allow the manufacturer a final attempt to cure the nonconformity. The manufacturer shall have 10 days, commencing upon receipt of such notification, to respond and give the consumer the opportunity to have the motor vehicle repaired at a reasonably accessible repair facility within a reasonable time after the consumer’s receipt of the response. The manufacturer shall have 10 days, except in the case of a recreational vehicle, in which event the manufacturer shall have 45 days, commencing upon the delivery of the motor vehicle to the designated repair facility by the consumer, to conform the motor vehicle to the warranty. If the manufacturer fails to respond to the consumer and give the consumer the opportunity to have the motor vehicle repaired at a reasonably accessible repair facility or perform the repairs within the time periods prescribed in this subsection, the requirement that the manufacturer be given a final attempt to cure the nonconformity does not apply. (b) If the motor vehicle is out of service by reason of repair of one or more nonconformities by the manufacturer or its authorized service agent for a cumulative total of 15 or more days, exclusive of downtime for routine maintenance prescribed by the owner’s manual, the consumer shall so notify the manufacturer in writing by registered or express mail to give the manufacturer or its authorized service agent an opportunity to inspect or repair the vehicle. (a) If the manufacturer, or its authorized service agent, cannot conform the motor vehicle to the warranty by repairing or correcting any nonconformity after a reasonable number of attempts, the manufacturer, within 40 days, shall repurchase the motor vehicle and refund the full purchase price to the consumer, less a reasonable offset for use, or, in consideration of its receipt of payment from the consumer of a reasonable offset for use, replace the motor vehicle with a replacement motor vehicle acceptable to the consumer. The refund or replacement must include all reasonably incurred collateral and incidental charges. However, the consumer has an unconditional right to choose a refund rather than a replacement motor vehicle. Upon receipt of such refund or replacement, the consumer, lien holder, or lessor shall furnish to the manufacturer clear title to and possession of the motor vehicle. (b) Refunds shall be made to the consumer and lien holder of record, if any, as their interests may appear. If applicable, refunds shall be made to the lessor and lessee as follows: The lessee shall receive the lessee cost and the lessor shall receive the lease price less the lessee cost. A penalty for early lease termination may not be assessed against a lessee who receives a replacement motor vehicle or refund under this chapter. The Department of Revenue shall refund to the manufacturer any sales tax which the manufacturer refunded to the consumer, lien holder, or lessor under this section, if the manufacturer provides to the department a written request for a refund and evidence that the sales tax was paid when the vehicle was purchased and that the manufacturer refunded the sales tax to the consumer, lien holder, or lessor. (b) The motor vehicle has been out of service by reason of repair of one or more nonconformities by the manufacturer, or its authorized service agent, for a cumulative total of 30 or more days, 60 or more days in the case of a recreational vehicle, exclusive of downtime for routine maintenance prescribed by the owner’s manual. The manufacturer or its authorized service agent must have had at least one opportunity to inspect or repair the vehicle following receipt of the notification as provided in paragraph (1)(b). The 30-day period, or 60-day period in the case of a recreational vehicle, may be extended by any period of time during which repair services are not available to the consumer because of war, invasion, strike, fire, flood, or natural disaster. (c) The claim by the consumer was not filed in good faith. Any other affirmative defense allowed by law may be raised against the claim. Florida Lemon Law 681.106 Bad faith claims. Any claim by a consumer which is found by the court to have been filed in bad faith or solely for the purpose of harassment, or in complete absence of a justiciable issue of either law or fact raised by the consumer, shall result in the consumer being liable for all costs and reasonable attorney’s fees incurred by the manufacturer, or its agent, as a direct result of the bad faith claim. Florida Lemon Law 681.108 Dispute-settlement procedures. (1) If a manufacturer has established a procedure, which the division has certified as substantially complying with the provisions of 16 C.F.R. part 703, in effect October 1, 1983, and with the provisions of this chapter and the rules adopted under this chapter, and has informed the consumer how and where to file a claim with such procedure pursuant to s. 681.103(3), the provisions of s. 681.104(2) apply to the consumer only if the consumer has first resorted to such procedure. The decision makers for a certified procedure shall, in rendering decisions, take into account all legal and equitable factors germane to a fair and just decision, including, but not limited to, the warranty; the rights and remedies conferred under 16 C.F.R. part 703, in effect October 1, 1983; the provisions of this chapter; and any other equitable considerations appropriate under the circumstances. Decision makers and staff of a procedure shall be trained in the provisions of this chapter and in 16 C.F.R. part 703, in effect October 1, 1983. In an action brought by a consumer concerning an alleged nonconformity, the decision that results from a certified procedure is admissible in evidence. (2) A manufacturer may apply to the division for certification of its procedure. After receipt and evaluation of the application, the division shall certify the procedure or notify the manufacturer of any deficiencies in the application or the procedure. 8. Statement of whether the decision was accepted or rejected by the consumer. (4) Any manufacturer establishing or applying to establish a certified procedure must file with the division a copy of the annual audit required under the provisions of 16 C.F.R. part 703, in effect October 1, 1983, together with any additional information required for purposes of certification, including the number of refunds and replacements made in this state pursuant to the provisions of this chapter by the manufacturer during the period audited. (5) The division shall review each certified procedure at least annually, prepare an annual report evaluating the operation of certified procedures established by motor vehicle manufacturers and procedures of applicants seeking certification, and, for a period not to exceed 1 year, shall grant certification to, or renew certification for, those manufacturers whose procedures substantially comply with the provisions of 16 C.F.R. part 703, in effect October 1, 1983, and with the provisions of this chapter and rules adopted under this chapter. If certification is revoked or denied, the division shall state the reasons for such action. The reports and records of actions taken with respect to certification shall be public records. (6) A manufacturer whose certification is denied or revoked is entitled to a hearing pursuant to chapter 120. (7) If federal preemption of state authority to regulate procedures occurs, the provisions of subsection (1) concerning prior resort do not apply. (8) The division shall adopt rules to implement this section. Florida Lemon Law 681.109 Florida New Motor Vehicle Arbitration Board. (1) If a manufacturer has a certified procedure, a consumer claim arising during the Lemon Law rights period must be filed with the certified procedure no later than 60 days after the expiration of the Lemon Law rights period. If a decision is not rendered by the certified procedure within 40 days of filing, the consumer may apply to the division to have the dispute removed to the board for arbitration. (2) If a manufacturer has a certified procedure, a consumer claim arising during the Lemon Law rights period must be filed with the certified procedure no later than 60 days after the expiration of the Lemon Law rights period. If a consumer is not satisfied with the decision or the manufacturer’s compliance therewith, the consumer may apply to the division to have the dispute submitted to the board for arbitration. A manufacturer may not seek review of a decision made under its procedure. (3) If a manufacturer has no certified procedure or if a certified procedure does not have jurisdiction to resolve the dispute, a consumer may apply directly to the division to have the dispute submitted to the board for arbitration. (4) A consumer must request arbitration before the board with respect to a claim arising during the Lemon Law rights period no later than 60 days after the expiration of the Lemon Law rights period, or within 30 days after the final action of a certified procedure, whichever date occurs later. (5) The division shall screen all requests for arbitration before the board to determine eligibility. The consumer’s request for arbitration before the board shall be made on a form prescribed by the department. The division shall forward to the board all disputes that the division determines are potentially entitled to relief under this chapter. (6) The division may reject a dispute that it determines to be fraudulent or outside the scope of the board’s authority. Any dispute deemed by the division to be ineligible for arbitration by the board due to insufficient evidence may be reconsidered upon the submission of new information regarding the dispute. Following a second review, the division may reject a dispute if the evidence is clearly insufficient to qualify for relief. Any dispute rejected by the division shall be forwarded to the department and a copy shall be sent by registered mail to the consumer and the manufacturer, containing a brief explanation as to the reason for rejection. (7) If the division rejects a dispute, the consumer may file a lawsuit to enforce the remedies provided under this chapter. In any civil action arising under this chapter and relating to a matter considered by the division, any determination made to reject a dispute is admissible in evidence. (8) The department shall have the authority to adopt reasonable rules to carry out the provisions of this section. Florida Lemon Law 681.1095 Florida New Motor Vehicle Arbitration Board. (1) There is established within the Department of Legal Affairs, the Florida New Motor Vehicle Arbitration Board, consisting of members appointed by the Attorney General for an initial term of 1 year. Board members may be reappointed for additional terms of 2 years. Each board member is accountable to the Attorney General for the performance of the member’s duties and is exempt from civil liability for any act or omission which occurs while acting in the member’s official capacity. The Department of Legal Affairs shall defend a member in any action against the member or the board which arises from any such act or omission. The Attorney General may establish as many regions of the board as necessary to carry out the provisions of this chapter. (2) The boards shall hear cases in various locations throughout the state so any consumer whose dispute is approved for arbitration by the division may attend an arbitration hearing at a reasonably convenient location and present a dispute orally. Hearings shall be conducted by panels of three board members assigned by the department. A majority vote of the three-member board panel shall be required to render a decision. Arbitration proceedings under this section shall be open to the public on reasonable and nondiscriminatory terms. (3) Each region of the board shall consist of up to eight members. The members of the board shall construe and apply the provisions of this chapter, and rules adopted thereunder, in making their decisions. An administrator and a secretary shall be assigned to each board by the Department of Legal Affairs. At least one member of each board must be a person with Experience in motor vehicle mechanics. A member must not be employed by a manufacturer or a franchised motor vehicle dealer or be a staff member, a decision maker, or a consultant for a procedure. Board members shall be trained in the application of this chapter and any rules adopted under this chapter, shall be reimbursed for travel expenses pursuant to s. 112.061, and shall be compensated at a rate or wage prescribed by the Attorney General. (4) Before filing a civil action on a matter subject to s. 681.104, the consumer must first submit the dispute to the division, and to the board if such dispute is deemed eligible for arbitration. (5) Manufacturers shall submit to arbitration conducted by the board if such arbitration is requested by a consumer and the dispute is deemed eligible for arbitration by the division pursuant to s. 681.109. (6) The board shall hear the dispute within 40 days and render a decision within 60 days after the date the request for arbitration is approved. The board may continue the hearing on its own motion or upon the request of a party for good cause shown. A request for continuance by the consumer constitutes waiver of the time periods set forth in this subsection. The Department of Legal Affairs, at the board’s request, may investigate disputes, and may issue subpoenas for the attendance of witnesses and for the production of records, documents, and other evidence before the board. The failure of the board to hear a dispute or render a decision within the prescribed periods does not invalidate the decision. (7) At all arbitration proceedings, the parties may present oral and written testimony, present witnesses and evidence relevant to the dispute, cross-examine witnesses, and be represented by counsel. The board may administer oaths or affirmations to witnesses and inspect the vehicle if requested by a party or if the board deems such inspection appropriate. (8) The board shall grant relief, if a reasonable number of attempts have been undertaken to correct a nonconformity or nonconformities. (9) The decision of the board shall be sent by registered mail to the consumer and the manufacturer, and shall contain written findings of fact and rationale for the decision. If the decision is in favor of the consumer, the manufacturer must, within 40 days after receipt of the decision, comply with the terms of the decision. Compliance occurs on the date the consumer receives delivery of an acceptable replacement motor vehicle or the refund specified in the arbitration award. In any civil action arising under this chapter and relating to a dispute arbitrated before the board, any decision by the board is admissible in evidence. (10) A decision is final unless appealed by either party. A petition to the circuit court to appeal a decision must be made within 30 days after receipt of the decision. The petition shall be filed in the county where the consumer resides, or where the motor vehicle was acquired, or where the arbitration hearing was conducted. Within 7 days after the petition has been filed, the appealing party must send a copy of the petition to the department. If the department does not receive notice of such petition within 40 days after the manufacturer’s receipt of a decision in favor of the consumer, and the manufacturer has neither complied with, nor has petitioned to appeal such decision, the department may apply to the circuit court to seek imposition of a fine up to $1,000 per day against the manufacturer until the amount stands at twice the purchase price of the motor vehicle, unless the manufacturer provides clear and convincing evidence that the delay or failure was beyond its control or was acceptable to the consumer as evidenced by a written statement signed by the consumer. If the manufacturer fails to provide such evidence or fails to pay the fine, the department shall initiate proceedings against the manufacturer for failure to pay such fine. The proceeds from the fine herein imposed shall be placed in the Motor Vehicle Warranty Trust Fund in the department for implementation and enforcement of this chapter. If the manufacturer fails to comply with the provisions of this subsection, the court shall affirm the award upon application by the consumer. (11) All provisions in this section and s. 681.109 pertaining to compulsory arbitration before the board, the dispute eligibility screening by the division, the proceedings and decisions of the board, and any appeals thereof, are exempt from the provisions of chapter 120. (12) An appeal of a decision by the board to the circuit court by a consumer or a manufacturer shall be by trial de novo. In a written petition to appeal a decision by the board, the appealing party must state the action requested and the grounds relied upon for appeal. Within 30 days of final disposition of the appeal, the appealing party shall furnish the department with notice of such disposition and, upon request, shall furnish the department with a copy of the order or judgment of the court. (13) If a decision of the board in favor of the consumer is upheld by the court, recovery by the consumer shall include the pecuniary value of the award, attorney’s fees incurred in obtaining confirmation of the award, and all costs and continuing damages in the amount of $25 per day for each day beyond the 40-day period following the manufacturer’s receipt of the board’s decision. If a court determines that the manufacturer acted in bad faith in bringing the appeal or brought the appeal solely for the purpose of harassment or in complete absence of a justiciable issue of law or fact, the court shall double, and may triple, the amount of the total award. (14) When a judgment affirms a decision by the board in favor of a consumer, appellate review may be conditioned upon payment by the manufacturer of the consumer’s attorney’s fees and giving security for costs and expenses resulting from the review period. (j) Appeals found by the court to be brought in bad faith or solely for the purpose of harassment. The statistics compiled under this subsection are public information. (16) When requested by the department, a manufacturer must verify the settlement terms for disputes that are approved for arbitration but are not decided by the board. Florida Lemon Law 681.1096 Pilot RV Mediation and Arbitration Program. (1) This section and s. 681.1097 shall apply to disputes determined eligible under this chapter involving recreational vehicles acquired on or after October 1, 1997, and shall remain in effect until September 30, 2001, at which time recreational vehicle disputes shall be subject to the provisions of ss. 681.109 and 681.1095. The Attorney General shall report annually to the President of the Senate, the Speaker of the House of Representatives, the Minority Leader of each house of the Legislature, and appropriate legislative committees regarding the efficiency and cost-effectiveness of the pilot program. (2) Each manufacturer of a recreational vehicle involved in a dispute that is determined eligible under this chapter, including chassis and component manufacturers which separately warrant the chassis and components and which otherwise meet the definition of manufacturer set forth in s. 681.102(14), shall participate in a mediation and arbitration program that is deemed qualified by the department. (a) The program must be administered by an administrator and staff that is sufficiently insulated from the manufacturer to ensure impartial mediation and arbitration services. (b) Program administration fees must be paid by the manufacturer and no such fees shall be charged to a consumer. (c) The program must be adequately staffed at a level sufficient to ensure the provision of fair and expeditious dispute resolution services. (d) Program mediators and arbitrators must be sufficiently insulated from a manufacturer to ensure the provision of impartial mediation and arbitration of disputes. (e) Program mediators and arbitrators shall not be employed by a manufacturer or a motor vehicle dealer. (f) Program mediators must complete a Florida Supreme Court certified circuit or county mediation training program, or other mediation training program approved by the department, in addition to a minimum of one-half day of training on this chapter conducted by the department. (g) Program mediators must comply with the Model Standards of Conduct for Mediators issued by the American Arbitration Association, the Dispute Resolution Section of the American Bar Association, and the Society of Professionals in Dispute Resolution. (h) Program arbitrators must complete a Florida Supreme Court certified circuit or county arbitration program, or other arbitration training program approved by the department, in addition to a minimum of 1 day of training in the application of this chapter and any rules adopted thereunder conducted by the department. (i) Program arbitrators must comply with the Code of Ethics for Arbitrators in Commercial Disputes published by the American Arbitration Association and the American Bar Association in 1977 and as amended. (j) Program arbitrators must construe and apply the provisions of this chapter and rules adopted thereunder in making decisions. (k) The program must complete all mediation and arbitration of an eligible consumer claim within 70 days of the program administrator’s receipt of the claim from the department. Failure of the program to complete all proceedings within the prescribed period will not invalidate any settlement agreement or arbitration decision. (l) Mediation conferences and arbitration proceedings must be held at reasonably convenient locations within the state so as to enable a consumer to attend and present a dispute orally. (4) The department shall monitor the program for compliance with this chapter. If the program is determined not qualified or if qualification is revoked, then the involved manufacturer shall be required to submit to arbitration conducted by the board if such arbitration is requested by a consumer and the dispute is deemed eligible for arbitration by the division pursuant to s. 681.109. (5) If a program is determined not qualified or if qualification is revoked, the involved manufacturer shall be notified by the department of any deficiencies in the program and informed that it is entitled to a hearing pursuant to chapter 120. (6) The program administrator, mediators, and arbitrators are exempt from civil liability arising from any act or omission in connection with any mediation or arbitration conducted under this chapter. (7) The program administrator shall maintain records of each dispute submitted to the program, including the recordings of arbitration hearings. All records maintained by the program under this chapter shall be public records and shall be available for inspection by the department upon reasonable notice. The records for disputes closed as of September 30 of each year shall be turned over to the department by the program administrator by no later than October 30 of the same year, unless a later date is specified by the department. Florida Lemon Law 681.1097 RV Pilot Mediation and Arbitration Program. Dispute eligibility and program function. (1) Before filing a civil action on a matter subject to s. 681.104, a consumer who acquires a recreational vehicle must first submit the dispute to the department, and to the program if the dispute is deemed eligible. Such consumer is not required to resort to a procedure certified pursuant to s. 681.108, notwithstanding that one of the manufacturers of the recreational vehicle has such a procedure. Such consumer is not required to resort to arbitration conducted by the board, except as provided in s. 681.1096(4) and in this section. (2) A consumer acquiring a recreational vehicle must apply to participate in this program with respect to a claim arising during the Lemon Law rights period by filing the application in subsection (3) with the department no later than 60 days after the expiration of the Lemon Law rights period. (3) The consumer’s application for participation in the program must be on a form prescribed or approved by the department. The department shall screen all applications to participate in the program to determine eligibility. The department shall forward to the program administrator all applications the department determines are potentially entitled to relief under this chapter. (a) If the department determines the application lacks sufficient information from which a determination of eligibility can be made, the department shall request additional information from the consumer and, upon review of such additional information, shall determine whether the application is eligible or reject the application as incomplete. (b) The department shall reject any application it determines to be fraudulent or outside the scope of this chapter. (c) The consumer and the manufacturer shall be notified in writing by the department if an application is rejected. Such notification of rejection shall include a brief explanation as to the reason for the rejection. (d) If the department rejects a dispute, the consumer may file a lawsuit to enforce the remedies provided under this chapter. In any civil action arising under this chapter and relating to the matter considered by the department, any determination made to reject a dispute is admissible in evidence. (4) Mediation shall be mandatory for both the consumer and manufacturer, unless the dispute is settled prior to the scheduled mediation conference. The mediation conference shall be confidential and inadmissible in any subsequent adversarial proceedings. Participation shall be limited to the parties directly involved in the dispute and their attorneys, if any. All manufacturers shall be represented by persons with settlement authority. (a) Upon receipt of an eligible application from the department, the program administrator shall notify the consumer and all involved manufacturers in writing that an eligible application has been received. Such notification shall include a statement that a mediation conference will be scheduled, shall identify the assigned mediator, and provide information regarding the program’s procedures. The program administrator shall provide all involved manufacturers with a copy of the completed application. (b) The mediator shall be selected and assigned by the program administrator. The parties may factually object to a mediator based upon the mediator’s past or present relationship with a party or a party’s attorney, direct or indirect, whether financial, professional, social, or of any other kind. The program administrator shall consider any such objection, determine its validity, and notify the parties of any determination. If the objection is determined valid, the program administrator shall assign another mediator to the case. (c) At the mediation conference, the mediator shall assist the parties’ efforts to reach a mutually acceptable settlement of their dispute; however, the mediator shall not impose any settlement upon the parties. (d) Upon conclusion of the mediation conference, the mediator shall notify the program administrator that the case has settled or remains at an impasse. The program administrator shall notify the department in writing of the outcome of the mediation. (e) If the mediation conference ends in an impasse, it shall proceed to arbitration pursuant to subsection (5). The program administrator shall immediately notify the parties in writing that the dispute will proceed to arbitration and shall identify the assigned arbitrator. 1. Name and address of the consumer. 2. Name and address of each involved manufacturer. 3. Year, make, model, and vehicle identification number of the subject recreational vehicle. 4. Name and address of the dealership from which the recreational vehicle was acquired. 5. Date the claim was received by the program administrator. 6. Name of the mediator and/or arbitrator, if any. 7. Statement of the terms of the agreement, including, but not limited to: whether the vehicle is to be reacquired by a manufacturer and the identity of the manufacturer that will reacquire the vehicle; the amount of any moneys to be paid by the consumer and/or a manufacturer; the year, make, and model of any replacement motor vehicle or motor vehicle accepted by the consumer as a trade-assist; and a time certain for performance not to exceed 40 days from the date the settlement agreement is signed by the parties. (g) If a manufacturer fails to perform within the time required in any settlement agreement, the consumer must notify the program administrator of such failure in writing within 10 days of the required performance date. Within 10 days of receipt of such notice, the program administrator shall notify the department of the manufacturer’s failure in compliance and shall schedule the matter for an arbitration hearing pursuant to subsection (5). (5) If the mediation ends in an impasse, or if a manufacturer fails to comply with the settlement entered into between the parties, the program administrator shall schedule the dispute for an arbitration hearing. Arbitration proceedings shall be open to the public on reasonable and nondiscriminatory terms. (a) The arbitration hearing shall be conducted by a single arbitrator assigned by the program administrator. The arbitrator shall not be the same person as the mediator who conducted the prior mediation conference in the dispute. The parties may factually object to an arbitrator based on the arbitrator’s past or present relationship with a party or a party’s attorney, direct or indirect, whether financial, professional, social, or of any other kind. The program administrator shall consider any such objection, determine its validity, and notify the parties of any determination. If the objection is determined valid, the program administrator shall assign another arbitrator to the case. (b) The arbitrator may issue subpoenas for the attendance of witnesses and for the production of records, documents, and other evidence. Subpoenas so issued shall be served and, upon application to the court by a party to the arbitration, enforced in the manner provided by law for the service and enforcement of subpoenas in civil actions. Fees for attendance as a witness shall be the same as for a witness in the circuit court. (c) At all program arbitration proceedings, the parties may present oral and written testimony, present witnesses and evidence relevant to the dispute, cross-examine witnesses, and be represented by counsel. The arbitrator shall record the arbitration hearing and shall have the power to administer oaths. The arbitrator may inspect the vehicle if requested by a party or if the arbitrator considers such inspection appropriate. (d) The program arbitrator may continue a hearing on his or her own motion or upon the request of a party for good cause shown. A request for continuance by the consumer constitutes a waiver of the time period set forth in s. 681.1096(3)(k) for completion of all proceedings under the program. (e) Where the arbitration is the result of a manufacturer’s failure to perform in accordance with a mediation agreement, any relief to the consumer granted by the arbitration will be no less than the relief agreed to by the manufacturer in the settlement agreement. (f) The arbitrator shall grant relief if a reasonable number of attempts have been undertaken to correct a nonconformity or nonconformities. (g) The program arbitrator shall render a decision within 10 days of the closing of the hearing. The decision shall be in writing on a form prescribed or approved by the department. The program administrator shall send a copy of the decision to the consumer and each involved manufacturer by registered mail. The program administrator shall also send a copy of the decision to the department within 5 days of mailing to the parties. (h) A manufacturer shall comply with an arbitration decision within 40 days of the date the manufacturer receives the written decision. Compliance occurs on the date the consumer receives delivery of an acceptable replacement motor vehicle or the refund specified in the arbitration award. If a manufacturer fails to comply within the time required, the consumer must notify the program administrator in writing within 10 days. The program administrator shall notify the department of a manufacturer’s failure to comply. The department shall have the authority to enforce compliance with arbitration decisions under this section in the same manner as is provided for enforcement of compliance with board decisions under s. 681.1095(10). In any civil action arising under this chapter and relating to a dispute arbitrated pursuant to this section, the decision of the arbitrator is admissible in evidence. (6) Except as otherwise provided, all provisions in this section pertaining to mandatory mediation and arbitration, eligibility screening, mediation proceedings, arbitration hearings and decisions, and any appeals thereof are exempt from the provisions of chapter 120. (7) Either party may make application to the circuit court for the county in which one of the parties resides or has a place of business or, if neither party resides or has a place of business in this state, the county where the arbitration hearing was held, for an order confirming, vacating, modifying, or correcting any award, in accordance with the provisions of this section and ss. 682.12, 682.13, 682.14, 682.15, and 682.17. Such application must be filed within 30 days of the moving party’s receipt of the written decision or the decision becomes final. Upon filing such application, the moving party shall mail a copy to the department and, upon entry of any judgment or decree, shall mail a copy of such judgment or decree to the department. A review of such application by the circuit court shall be confined to the record of the proceedings before the program arbitrator. The court shall conduct a de novo review of the questions of law raised in the application. In addition to the grounds set forth in ss. 682.13 and 682.14, the court shall consider questions of fact raised in the application. In reviewing questions of fact, the court shall uphold the award unless it determines that the factual findings of the arbitrator are not supported by substantial evidence in the record and that the substantial rights of the moving party have been prejudiced. If the arbitrator fails to state findings or reasons for the stated award, or the findings or reasons are inadequate, the court shall search the record to determine whether a basis exists to uphold the award. The court shall expedite consideration of any application filed under this section on the calendar. (a) If a decision of a program arbitrator in favor of a consumer is confirmed by the court, recovery by the consumer shall include the pecuniary value of the award, attorney’s fees incurred in obtaining confirmation of the award, and all costs and continuing damages in the amount of $25 per day for each day beyond the 40-day period following a manufacturer’s receipt of the arbitrator’s decision. If a court determines the manufacturer acted in bad faith in bringing the appeal or brought the appeal solely for the purpose of harassment, or in complete absence of a justiciable issue of law or fact, the court shall double, and may triple, the amount of the total award. (b) An appeal of a judgment or order by the court confirming, denying confirmation, modifying or correcting, or vacating the award may be taken in the manner and to the same extent as from orders or judgments in a civil action. Florida Lemon Law 681.110 Compliance and disciplinary actions. The Department of Legal Affairs may enforce and ensure compliance with the provisions of this chapter and rules adopted thereunder, may issue subpoenas requiring the attendance of witnesses and production of evidence, and may seek relief in the circuit court to compel compliance with such subpoenas. The Department of Legal Affairs may impose a civil penalty against a manufacturer not to exceed $1,000 for each count or separate offense. The proceeds from the fine imposed herein shall be placed in the Motor Vehicle Warranty Trust Fund in the Department of Legal Affairs for implementation and enforcement of this chapter. Florida Lemon Law 681.111 Unfair or deceptive trade practice. A violation by a manufacturer of this chapter is an unfair or deceptive trade practice as defined in part II of chapter 501. Florida Lemon Law 681.112 Consumer remedies. (1) A consumer may file an action to recover damages caused by a violation of this chapter. The court shall award a consumer who prevails in such action the amount of any pecuniary loss, litigation costs, reasonable attorney’s fees, and appropriate equitable relief. (2) An action brought under this chapter must be commenced within 1 year after the expiration of the Lemon Law rights period, or, if a consumer resorts to an informal dispute-settlement procedure or submits a dispute to the division or board, within 1 year after the final action of the procedure, division, or board. (3) This chapter does not prohibit a consumer from pursuing other rights or remedies under any other law. Florida Lemon Law 681.113 Dealer liability. Except as provided in ss. 681.103(3) and 681.114(2), nothing in this chapter imposes any liability on a dealer as defined in s. 320.60(11)(a) or creates a cause of action by a consumer against a dealer, except for written express warranties made by the dealer apart from the manufacturer’s warranties. A dealer may not be made a party defendant in any action involving or relating to this chapter, except as provided in this section. The manufacturer shall not charge back or require reimbursement by the dealer for any costs, including, but not limited to, any refunds or vehicle replacements, incurred by the manufacturer arising out of this chapter, in the absence of evidence that the related repairs had been carried out by the dealer in a manner substantially inconsistent with the manufacturer’s published instructions. Florida Lemon Law 681.114 Resale of returned vehicles. (1) A manufacturer who accepts the return of a motor vehicle by reason of a settlement, determination, or decision pursuant to this chapter shall notify the department and report the vehicle identification number of that motor vehicle within 10 days after such acceptance, transfer, or disposal of the vehicle, whichever occurs later. (2) A person shall not knowingly lease, sell at wholesale or retail, or transfer a title to a motor vehicle returned by reason of a settlement, determination, or decision pursuant to this chapter or similar statute of another state unless the nature of the nonconformity is clearly and conspicuously disclosed to the prospective transferee, lessee, or buyer, and the manufacturer warrants to correct such nonconformity for a term of 1 year or 12,000 miles, whichever occurs first. The Department of Legal Affairs shall prescribe by rule the form, content, and procedure pertaining to such disclosure statement. (3) As used in this section, the term “settlement” means an agreement entered into between a manufacturer and consumer that occurs after a dispute is submitted to a procedure or program or is approved for arbitration before the board. Florida Lemon Law 681.115 Certain agreements void. Any agreement entered into by a consumer that waives, limits, or disclaims the rights set forth in this chapter is void as contrary to public policy. The rights set forth in this chapter shall extend to a subsequent transferee of such motor vehicle. Florida Lemon Law 681.116 Preemption. This chapter preempts any similar county or municipal ordinance regarding consumer warranty rights resulting from the acquisition of a motor vehicle in this state. Florida Lemon Law 681.117 Fee. (1) A $2 fee shall be collected by a motor vehicle dealer, or by a person engaged in the business of leasing motor vehicles, from the consumer at the consummation of the sale of a motor vehicle or at the time of entry into a lease agreement for a motor vehicle. Such fees shall be remitted to the county tax collector or private tag agency acting as agent for the Department of Revenue. All fees, less the cost of administration, shall be transferred monthly to the Department of Legal Affairs for deposit into the Motor Vehicle Warranty Trust Fund. The Department of Legal Affairs shall distribute monthly an amount not exceeding one-fourth of the fees received to the Division of Consumer Services of the Department of Agriculture and Consumer Services to carry out the provisions of ss. 681.108 and 681.109. The Department of Legal Affairs shall contract with the Division of Consumer Services for payment of services performed by the division pursuant to ss. 681.108 and 681.109. (2) The Department of Revenue shall administer, collect, and enforce the fee authorized under this section pursuant to the provisions of chapter 212. The fee shall not be included in the computation of estimated taxes pursuant to s. 212.11(1)(a), nor shall the dealer’s credit provided under s. 212.12 apply to the fee. The provisions of chapter 212 regarding the authority to audit and make assessments, the keeping of books and records, and interest and penalties on delinquent fees apply to the fee imposed by this section. Florida Lemon Law 681.118 Rulemaking authority. Committed to Protecting & Enforcing our clients rights! Consistently successful with a great track record of results. Not seeing a legal service you need? Types of Civil Litigation Cases we handle. 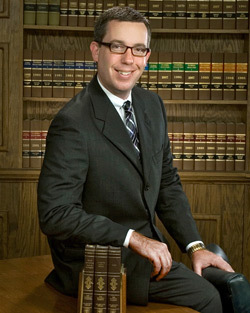 Learn about the Attorney's at the Law office of Patrick J. Cremeens. P.A. A short list of most commonly used Legal Definitions Coming Soon! About the Florida Lemon Law and protecting your consumer rights. Why should i hire a Lemon Law Attorney? Here are a few reasons why you should hire an Attorney Lemon Law Lawyer & not go it alone. How the new Car Lemon Law can help you.